Imagine if Muhammad Ali and Mike Tyson had fought for the heavyweight crown, or Michael Jordan and Lebron James had a one on one game or Richard Pryor and Eddie Murphy had a 90-minute “Yo Mama” session. Can you imagine that? If you can, then you can picture the mental match that transpired between the 20th century’s greatest thinkers in what could possibly be the most sophisticated “what if” ever imagined. I could not stop raving about Freud’s Last Session. 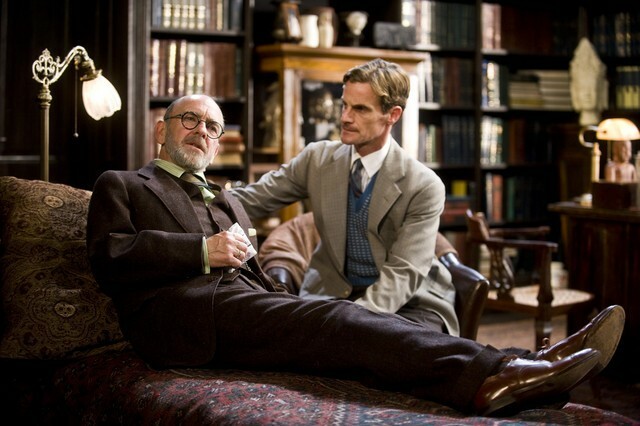 Even if it was fictional, the play offered audiences the opportunity to get up close and personal with Dr. Freud and C.S. Lewis. It is my hope that Freud’s Last Session has not seen its last run in NYC. To read F.A.M.E NYC’s full review of Freud’s Last Session, click https://famenycmagazine.com/2010/09/20/duel-on-the-couch-freud%e2%80%99s-last-session/.